Current Homes for Sale Semmes, AL. Semmes is the place that allows you to dream again! There are things you can afford in Semmes that you can't afford anywhere else. Named after Admiral Raphael Semmes of U.S Navy and Civil War fame, Semmes just became an incorporated city on August 17, 2010. The growth since then has been phenomenal, not least of which because of the growing real estate opportunities. D.R. Horton Homes, Adams Homes, and John Howard Custom Homes can all be found in the sunlit hills and pastures of Semmes. 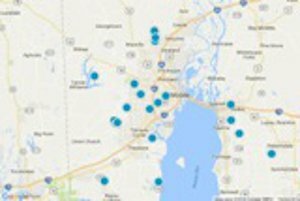 With the help of these local and nationally acclaimed builders, the area has become one of the fastest growing and most desirable ZIP codes in southern Alabama. New construction homes, cottage style homes, ranch style homes, plantation style homes, great schools, safety, security, custom built homes, quiet country living, and all of this only a short drive from downtown Mobile! There is so much to love about Semmes, AL. We have a feeling you will love one of these homes for yourself!! !